It was a hot summer afternoon in Bologna airport. The plane had just landed and my SoHPC mate, Petr, and I were going to the apartment where we will be spending the next two months. It was tough at first, after a week of training with all the SoHPC students and 25ºC weather in Ostrava, to get used to Bologna’s 35ºC weather. Also there were just two of us, since everyone is now scattered around Europe. We had some time to enjoy the beautiful city of Bologna and start our summer diet of pasta and pizza. However, we were really looking forward to meet the people from CINECA and getting started with our projects. In conclusion, my summer story had just begun. 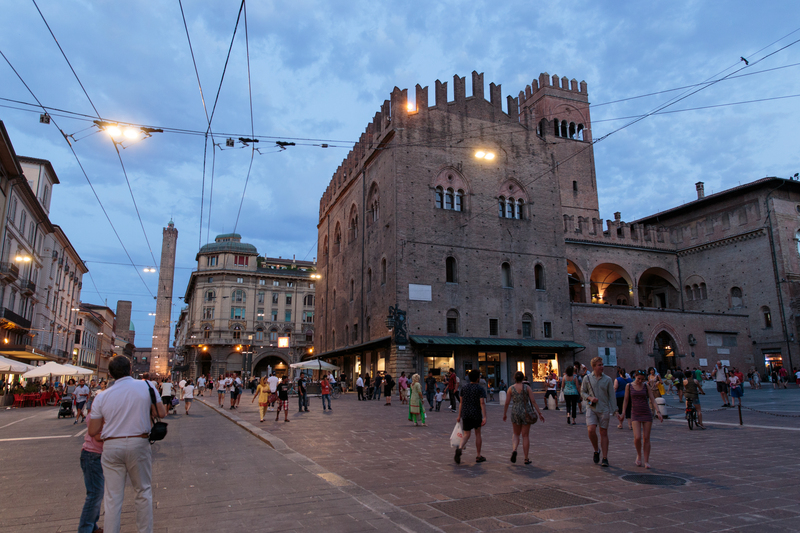 A typical evening at the center of Bologna. I could write about Bologna and my stories here for the whole post, but that’s not what I want to present to you today. In this post, I want to introduce you to my SoHPC project which I will be working on during the summer. In my first self-introductory post I mentioned that I am working on the project “Web visualization of the Mediterranean sea”. But, why do we need a web visualization of the Mediterranean sea? What scientific use does it have? Well, this is what I’m going to explain in this post. 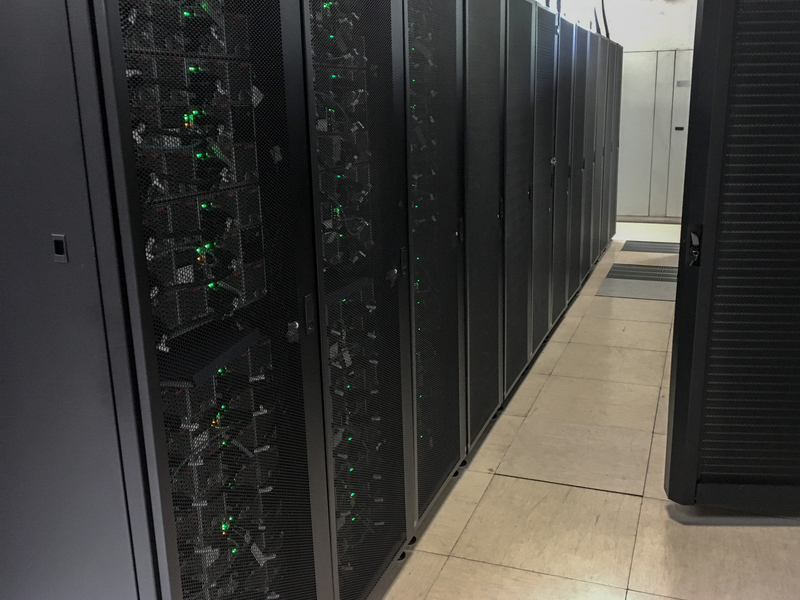 CINECA’s supercomputer racks, photo taken during the visit to CINECA’s supercomputer facilities. Short time biochemical forecasts that cover around 20 days and are run twice a week in one of CINECA’s supercomputers: Pico. Their inputs, also called “forcings”, come from other Copernicus’ partners, building a very complex network. Climate studies that project up to 100 years into the future. In this case, surface satellite colour data can be assimilated with the model, both to improve the forecast skill and to produce optimal representations of the last decades biogeochemical state of the Sea. So, what is my role then? Concerning numerical simulations, we can usually distinguish three main parts: pre-processing and set-up, running the model and post-processing the results. As you might have guessed, the OGSTM-BFM code generates large amounts of data. However, raw data are of little use generally. We need to post-process this data set and convert it to something that can be easily understood, for example graphs or maps. One of the problems OGS has in this subject is precisely how to optimally visualize the 3D data. So, this is what I will be doing this summer, besides eating pizza and pasta. Stay tuned here to learn more about my project and follow my story!